For professionals who specialize in projects that depend on the highest levels of color accuracy, there is no tolerance for visual errors. That’s why it’s so important for designers, video editors, architects and others in color-critical roles to choose a monitor that not only provides precise, accurate colors right out of the box with broad coverage of industry color standards, but also offers crisp images and consistent color viewing at any angle. After looking closely at the needs of PC power users working in a variety of visual fields, like graphics and animation, video and film editing, print and publishing, photography, architecture and CAD/CAM design and geospatial visualization, we’re excited to introduce three new entries into our line of color-accurate monitors in 31.5-, 27- and 25-inch screen sizes. Dell PremierColor offers vivid, accurate, professional color standards. 4K and QHD resolution provides an outstanding viewing experience. Cut down on technical challenges, thanks to Dell’s unmatched reliability. The new models take the best of previous Dell UltraSharp models with PremierColor and add wider color coverage and connectivity enhancements designed to make day-to-day creative tasks easier. 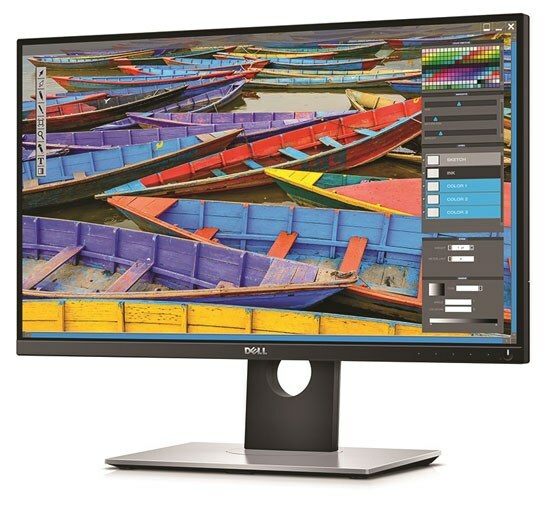 Besides achieving a 99.5 percent Adobe RGB and 100 percent sRGB, the Dell UltraSharp 32 Monitor now includes two new color spaces — 100 percent REC709 and 87 percent DCI-P3. These two additional color spaces will aid color professionals in broadcasting and movie content production, among other tasks. Having a larger bandwidth than HDMI 1.4, HDMI 2.0 allows 4K content to be transferred at 60Hz, offering smooth video or movie viewing in 4K resolution. 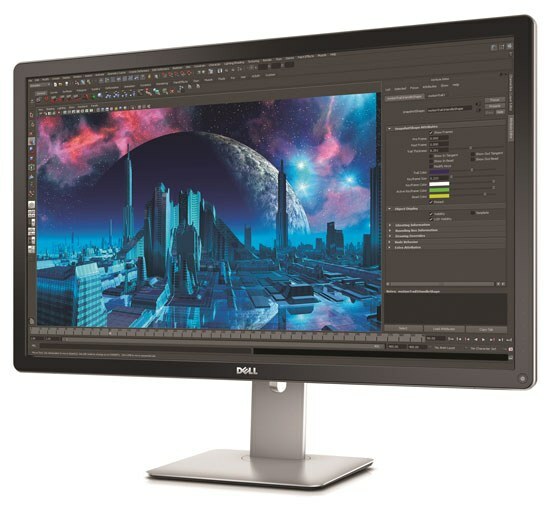 Besides achieving a 100 percent AdobeRGB and 100 percent sRGB, the new Dell UltraSharp Monitors with PremierColor both offer two new color spaces – 100 percent REC 709 and 98 percent DCI-P3 – to aid animation designers and video editors with post-production work. Thanks to new ultra-thin borders, users can now enjoy a seamless viewing experience when placing two or more monitors side by side. These monitors also pivot both clockwise and counter-clockwise so design professionals can put the thinnest borders side by side, enhancing the visual experience even when viewing content in portrait orientation. 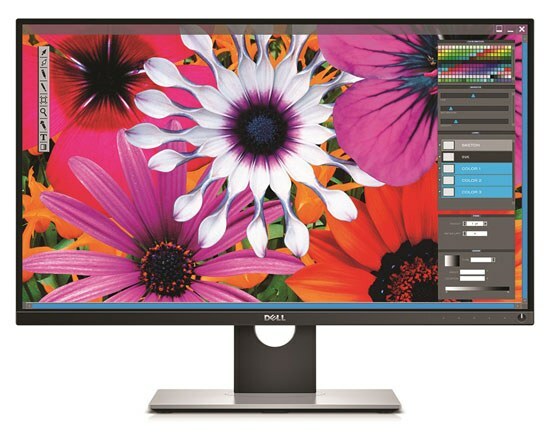 Dell's software development kit enables users to customize their Dell UltraSharp Monitors to their preferred in-house custom system, allowing them to easily manage color space and control video layout. Workers can view applications between two PCs simultaneously on screen and manage the content with only one keyboard and mouse. From color accuracy to form factor, the new Dell UltraSharp Monitors with PremierColor address the unique needs of today’s design professionals in a way that ensures their hours spent in front of the screen are as efficient and productive as possible. We look forward to sharing them with you, and continuing to evolve our end-to-end business solutions to meet your workforce’s ever-changing needs.